Translation apps are of great utility and it obviously adds comfort, convenience, and quality in communication especially when you are away from your home and you are quite a bit dependent on your iPhone’s language support. Fortunately, there are lots of translations apps available at the App Store for instant download and use. However, all these apps are not equally efficient or user friendly. We have reviewed here the leading translation apps available in the Apps store and shortlisted the best ones for your easy access. Hope these top 10 apps mentioned here will work as your best translation assistant for iPhone and iPad in time of need. Directly recover iPhone data without backup. Retrieve certain data only from iTunes or iCloud backup. ITranslate is a versatile app for translation support on iOS. 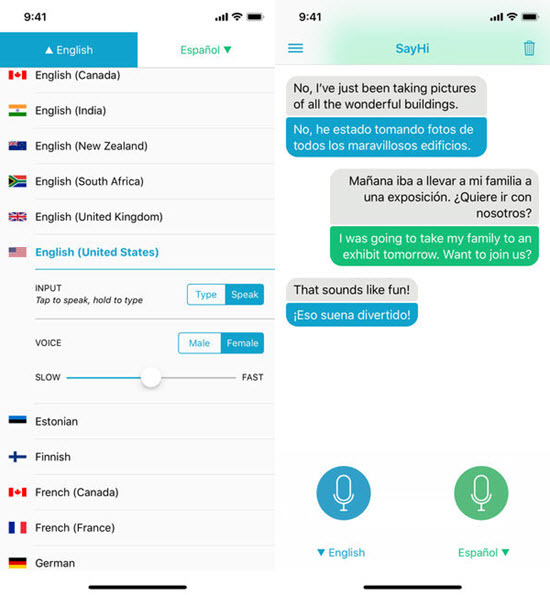 The app offers its users the linguistic translation support for more than 90 languages in text-to-text and voice command method, respectively. Based on discretion, you can select audio support either in male or in female voice. 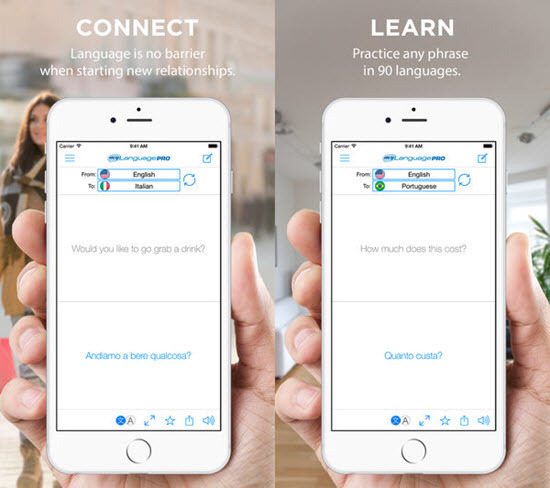 If you need faster transition between two or more dialects, this is perhaps the best app for your translation support task on iPhone or iPad. 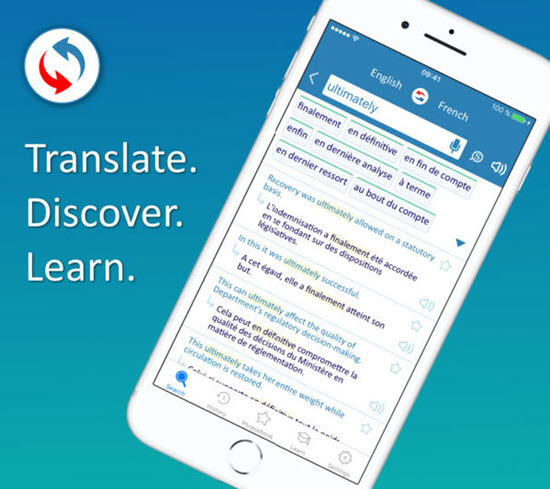 The app is built with a dictionary, which comes extremely handy if you want to understand the meaning of a complicated word while doing the translation. For proper completion of translation task on iOS in a hassle-free way, you can completely trust the app Microsoft translator. 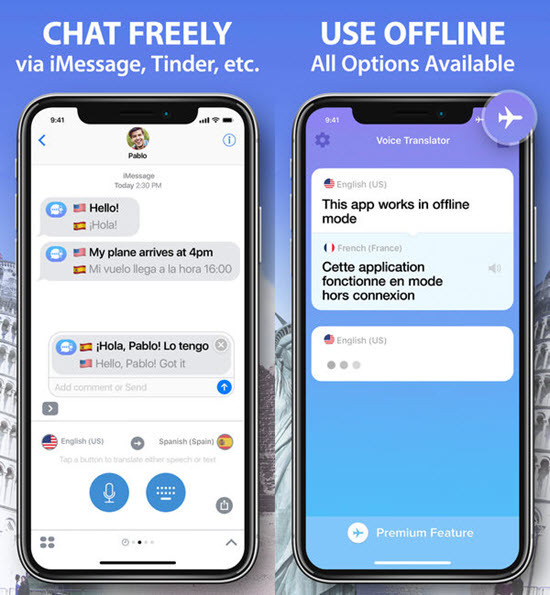 You can use the app for offline translation and you can also use it for transcribing conversation between two persons almost instantly on iPhone. 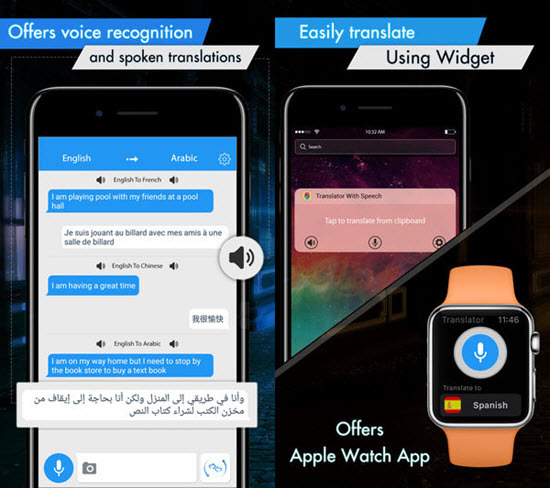 Besides doing translation, the app has some other utilities like, you can improve your pronunciation by listening to its audio prompt, you can use and utilize the in-built phrasebook as well as you can learn a foreign language with it effortlessly. The app will offer you the scope to use the Safari Extension to translate web pages on your iOS device instantly on demand. Google Translate provides translation service for iOS users with faster speed and with flawless accuracy. By text-to-text support it can translate 103 languages. Out of these 103 languages, you will get to translate 53 languages on your Apple device even if there is no support of internet. 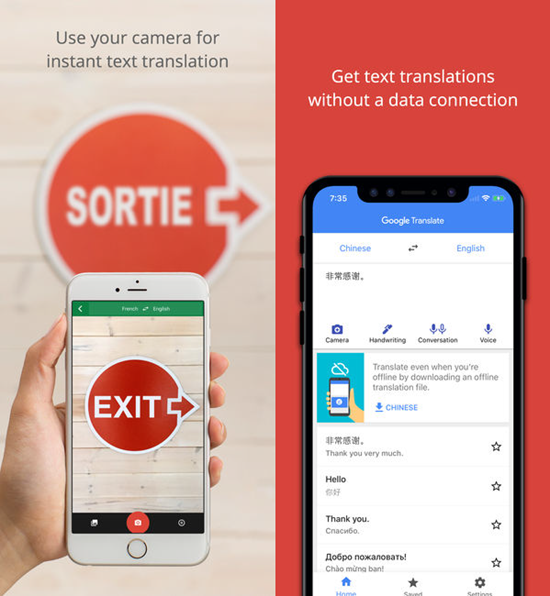 You need to use your device’s camera to avail 30 language translation support in conversation mode, and above all, the app offers quick speech translation in 32 languages on iPhone or iPad. 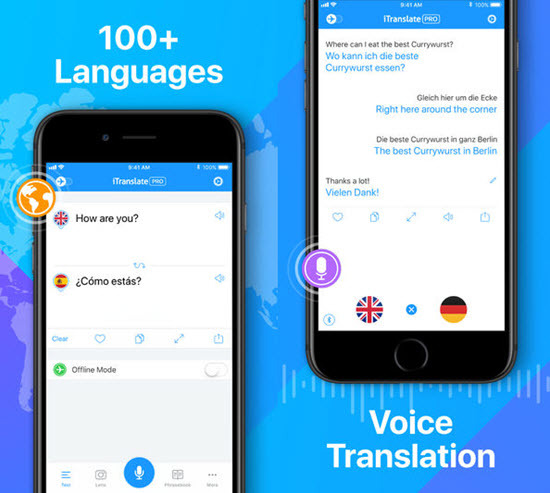 Speak and Translate is one of the best user-friendly translation apps for IOS devices, which is supported by Apple’s winning speech recognition tech support. You just need to type or dictate the text you want to translate in to the app to get a result. You may choose either male or female voice for translation prompt. With 117 languages at its inventory, the app can offer your service for text-to-text translation and 54 voice to voice translation support on iPhone. It also has a free version available for iOS users. Learning a new language was never as easy as it is with the help of the translation app SayHi. You can get voice prompt as well as help for different languages including some localized versions. You may select between male or female voice prompt. In addition to translation service support, the app offers users to speed up or slow down the translated speech rate. Just tap on the translation to edit and you can share your translation via social media accounts like Facebook, email, and Twitter. 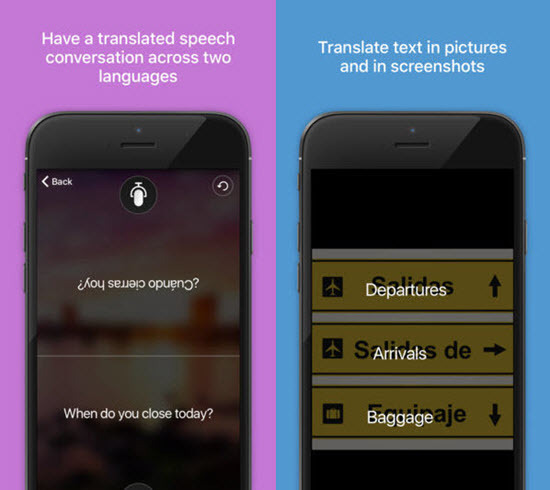 Voice translator is a handy and user-friendly translation app for iOS users. Its voice recognition technology is matchless in quality and it provides fast output into other languages. The app supports both text-to-text translate system as well as voice command. You may share your translation by email or SMS. The app supports more than 30 languages including English, Finnish, French, German, Hungarian, Indonesian, and Italian. The app is available in its free version however, for improved service you may buy the pro version (without ad) at the cost of $2.99. The app Translator with Speech is a class by itself. Besides accuracy, the app can offer translation support for 84 different languages. It is built with speech-to-text facility for 23 dissimilar languages. It has auto-saving mode for preserving your translation, which you can check later. In addition to this facility, the app offers transliteration service for non-latin character sets on iPhone. Want to translate a new language on iPhone? Reverso Translation App will be the best tool for translation on your Apple device. It is extremely easy to use: Just utter the words or type the text that you want to translate and you are done! It will also help you in understanding sentence syntax. Supposed that you are reading a web article and you want to translate a part of it, Reverso will do the task for you instantly. You can generate your vocabulary list for quick access. You can share your new learned words via social media as well. iHandy translator is a user-friendly language translator app designated for iOS devices and it is able to offer translation support for total 52 languages like English, Dutch, Spanish, Hindi, etc. You can search and share your translated piece with your friends by using your social networking sites directly from this app’s interface. You need to add only the target sentence in the app to get translated in the desired language output. 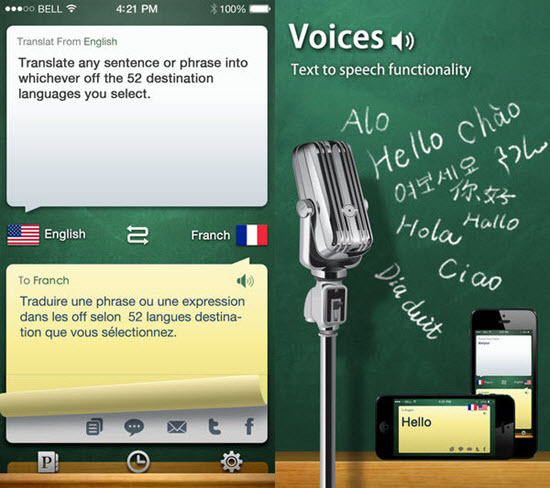 The app has a pro version as well, which offers text-to-speech functionality. The pro version users can access in-built phrasebook to improve their translation quality. MyLanguage is a linguistic provider, developing apps that you can use for learning foreign language besides your translation job. The Translate Voice app developed by it offers a flawless robotic service for at least 59 different languages. 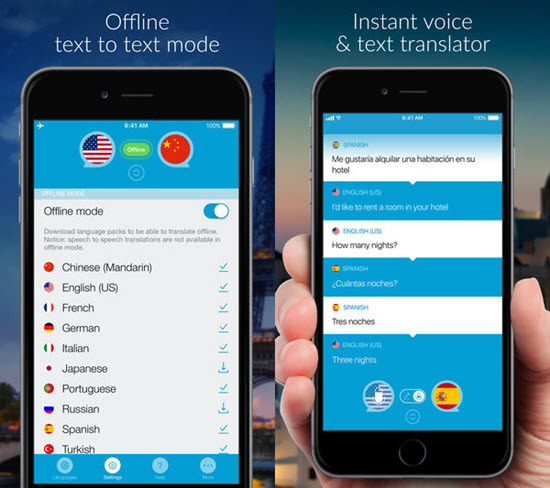 This app comes handy for non-Latin translation: with 30 languages text-to-text and voice-to-voice call support, it is a real life supportive app for iOS users. You may send the translation via text message and email. The app supports 30 languages including English, Dutch, Czech, etc. These are the 10 best translation apps you will get to download from the App store and use on your iPhone for doing translation task. No matter if you want to translate text-to-text or speech-to-text, these translation apps will serve you with quality and consistency. Have you ever used any translation app on your Apple Device? If yes, welcome to share your experience with us by commenting below.